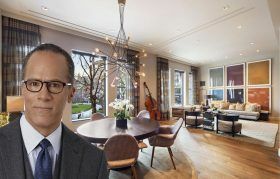 Breaking: Lester Holt has sold his classy Nomad apartment for $6.4 million, just under the $6.6 million he listed it for in April, reports the Post. The NBC Nightly News and Dateline NBC anchor bought the three-bedroom spread at 225 Fifth Avenue for $3.3 million in 2007. Along with the impressive views of Madison Square Park and the Flatiron Building and a private terrace, the sale was likely helped along by the fact that Holt’s wife, Carol Hagen-Holt, was one of the listing brokers. There’s no “debating” that NBC Nightly News and Dateline NBC anchor Lester Holt has good taste in real estate, as evidenced by the listing photos for his classy Nomad apartment. The fact that his wife, Carol Hagen-Holt, is one of the listing brokers probably doesn’t hurt either. The Observer first noticed that the couple put the three-bedroom spread at 225 Fifth Avenue on the market for $6.6 million, a far cry from the $3.3 million they bought it for in 2007. It boasts views of Madison Square Park and the Flatiron Building, a private terrace, and a sumptuous mix of furnishings and decor. 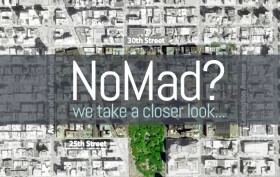 Prices in Nomad shot up a whopping 43 percent over the past five years, according to a new index from CityRealty, a marked increase that the developers of 212 Fifth Avenue may have been aware of when they put a $68.5 million price tag on their building’s triplex. 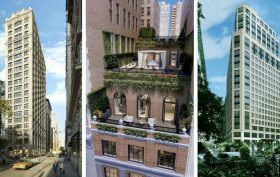 If the sprawling apartment sells for anywhere near its asking price, it will set a record as the most expensive sale in the neighborhood, where other new developments have already raised the ceiling on the area’s sale records. How did this transformation in NoMad occur? Find out here.